Imagine being Brahms in 1889 and being the first composer/performer to be able to hear a recording of your own playing, as well as hearing your own voice. Granted, the quality of the wax cylinder was terrible, but hearing a piano performance coming from a machine, rather than producing it yourself or seeing it being produced by another person, must have felt a bit disembodied. Music, after all, had always been about a person using movement to create sound. By 2014, we are accustomed to hearing disembodied music – in elevators, shopping malls, grocery stores, and on all of our various digital devices, CDs, even the resurgent LP. We listen to music without thinking about how it is actually made by individuals, bands, orchestras, singers. True, we listen to and watch music videos, we go to the HD Met broadcasts, we watch American Idol or PBS Great Performances, but for many people, far more time is spent “listening to” than “watching” music (probably not true for those of us who make a living teaching or performing). In fact, you have probably experienced being at a live concert and closing your eyes to better “experience the music.” And orchestras today often hold blind auditions, so that those making the decisions are not swayed by race, gender or appearance. But can you really separate the audio from the visual? New research by a recent Harvard graduate suggests perhaps not. 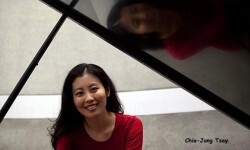 Chia-Jung Tsay is a pianist who studied at both Juilliard and Peabody and made her debut at Carnegie Hall at the age of 16. 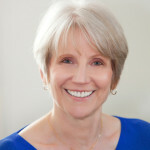 She entered a lot of piano competitions over the years, and she began to notice that the results varied a great deal, depending on whether the elimination procedure involved submitted recordings or live competition rounds. In a series of seven experiments, 1164 participants were given excerpts from the top 3 finalists in each of 10 prestigious international competitions. The excerpts were in one of three formats: sound only, video only, or sound and video. The participants were asked to identify the winners of these competitions, and results were then compared to the actual winners selected by the competition judges. Both musical novices and professional musicians took part in the study. Tsay first gave the excerpts to a group of novices. Although 83% of them had indicated that sound was the most important factor in determining the winner, those who listened to the sound only excerpts scored less than chance in picking the winners. On the other hand, the participants who received the visual only component of the performance with no sound scored significantly above chance in identifying the winners. OK, so these were the novices. They didn’t have the training or expertise to make distinctions at this level of performance. What about the professionals? The professionals who participated in the study had either played in competitions, judged major competitions, or both, and they overwhelmingly said that sound was the most important criterion in making their decision. Yet, when listening to sound only, their identification of the winners was at a rate less than chance, just like the non-musicians. Those who had the combined sound and visual excerpts identified the winners at about a chance rate. And like the novices, those who watched video only identified the winners at a rate much higher than chance. And these were music professionals. So what’s going on here? According to Tsay, regardless of our level of experience, and even though we believe sound is the most important, visual information seems to override sound information in the brain. And obviously, this says something not only about the participants in the study, but about the original judges in the competitions, who must have weighted visual information heavily (no doubt without realizing it). And what are both novices and professionals responding to visually? Tsay suggests it may be the passion and involvement of the performer. Without seeing the excerpts, I have no way of knowing what kind of body movements actually indicated passion or involvement to the original judges and to the participants in the study. Was it the flamboyant performers or the quietly intense? After reading this study, I sat down and watched the The Art of Piano, which was released as a video in 1999, re-released as a DVD in 2002, and now – why am I not surprised – found in its entirety on YouTube. If you don’t know about this video, check it out. I hadn’t looked at it in years, but seeing it again was a great reminder about how piano playing “looked” in the early- to mid-twentieth century. All the greats are represented: Claudio Arrau, Josef Hofmann, Sergei Rachmaninoff, Vladimir Horowitz, Artur Rubinstein, Sviatoslav Richter, and the list goes on. 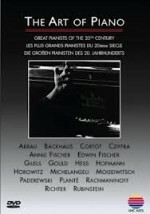 What is particularly interesting is that all of these great pianists play with extremely little upper body movement. Their physical being is very “quiet” at the piano. There is no flashiness whatsoever, just a straightforward approach to the instrument, but audiences went wild about their performances. And this understated physical manner of playing wasn’t restricted to the classical piano world. There is also a wonderful video Piano Legends, hosted by Chick Corea, that shows clips of jazz greats, from Fats Waller in 1941 to Cecil Taylor in 1980 and Chick Corea in 1986. Again, the earlier players are very quiet in their physical demeanor, just sitting down at the keyboard and playing up a storm. As the decades go by, the physical approach to the instrument changes, movements become much larger, the whole body becomes involved – not always to the advantage of the musical performance. And Fritz Reiner, the great conductor of the Chicago Symphony in the 1950s and early 1960s was known for the economy of his conducting technique. It was said that the beat shown by the tip of his baton could be contained in the area of a postage stamp. Yet he made the Chicago Symphony into one of the greatest orchestras in the world. Today, there are no conductors with the minimalist technique of Fritz Reiner. There are no pianists who use as little body movement as nearly all of the pianists earlier in the 20th century. And the same holds true for other instrumental performers. The style of playing any instrument today is one of much more movement – sometimes to the point of flamboyance (and annoyance). It’s easy to see why the results of Tsay’s study are so disturbing to many musicians. Music is sound, and we spend our lives thinking about and learning how to create a beautiful sound and how to communicate through sound, and yet here is a study that essentially shows that audiences are paying more attention to how the performer looks than to how he sounds. So what was it about the manner of playing of the winners that set them apart – both for the original judges and for the participants in the study? I find myself wondering – how would a Josef Hofmann fare in this study compared to a Lang Lang (yes, I know. He’s an extreme example.) How would Fritz Reiner compare to a Gustavo Dudamel? Styles of playing (and conducting) have changed, but does that mean that performers today who have a much more “economical” approach to the instrument are subconsciously seen by audiences to be not as musical as someone with more flair? That’s a disturbing thought. Most interesting! And apropos, perhaps, it brings up the matter of learning techniques in kids. Some are primarily visual earners, some auditory, and mismatched teaching methods can hinder a kid’s learning. Few schools adjust to these differences, even if they recognize the reality. I am a highly visual learner, and while training as a neurosurgeon, I seldom forgot a technique demonstrated by my training bosses. Still recall them with clarity. It made progress in surgical ability easier. Interestingly, I was a pretty good sight reader at the piano, but a poor “by ear” pianist. My brother was exactly the opposite. Waiting for more of this! A fascinating study, and so appropriate for teachers and performers. What movements make sound, and what movements make performance? Seems like they may be two different things. Hi Kay, I think you’re right and a it’s a good topic to ponder for next time. Thinking about this for a couple of days, I was wondering if anything has changed over the years? Looking at Horowitz (pretty much zero gesturing) or Art Tatum (who simply glided over the keys) from the past is a limited lens (and Fritz Reiner too of course). Today, Lang Lang is physically spastic, but so is Arcadi Volodos (lots of movement). At the same time, Marc-Andre Hamelin is not as much, nor Pierre-Laurent Aimard, nor Kissin, Stephen Hough, etc. HI Michael, Yes, it is an interesting topic and one we will continue to explore. I’ve always wished that there were a video of Liszt so we could see how he actually played instead of just reading descriptions. Very interesting post. I was just doing a Beethoven Piano Sonatas workshop with students at the Sibelius-Academy in Helsinki this week. In addition to one-on-one session with the participants and their sonatas we organized public discussions dealing among other things with the relationship between Beethoven-performance tradition and the personality of the single performer. The students very thoughtfully noted that these days what often seems to be taken as proof of strong personality and artistic originality is rather in fact flamboyance. Then again, bouncing off the previous comment about Liszt, I wouldn’t personally go as far as to value a performance according to any single parameter: physical appearance of the performer, body movements, or even sound. Sometimes a performance seems to be able to “touch” the listener even if a lot of it goes wrong, a performance may somehow work itself in to the mind of the listener in a way that the listener is simply persuaded to like it agains all odds. The jury question is interesting, and I was actually present once at Chia-Jung Tsay’s lectures and participated in a test listening she conducted. Her findings are important but there’s an aspect of jury-work that I feel should be added to the general discussion. Having recently served as a jury member at an international competition, I couldn’t fail to notice that the individual jury members came into quite different conclusions about the contestants, each one had their favorites and the end result was a mathematical summary of those results. So, in the end, there was a great deal of chance in who actually won the competition. I believe that just as competitors declare different musical values, the jury members do too. I would therefore be careful in making the conclusion that certain type of playing would “fool” the juries, which, I admit, is not what Dr. Tsay is specifically saying, but which interpretation still hovers around the question.